Collider is reporting that Sony picks first-time director Bob Persichetti to helm the untitled animated Spidey movie which is due for 2018 release. Wait, what? I wasn’t even aware this existed! I imagine it’s 3d but still pretty cool if it’s a decent story. Details on this new Spider-Man film are under wraps, but recently rumors have swirled that it may be the first movie to focus on someone other than Peter Parker in the title role—namely Miles Morales, the first non-white Spider-Man. 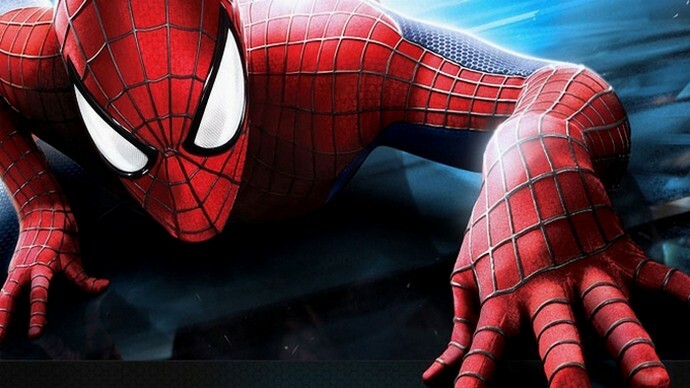 This would not only allow this film to further distance itself from the Marvel/Sony live-action reboot, but offer a unique story opportunity in presenting a Spider-Man whose origin audiences haven’t already had ingrained into their heads. It’s a win-win! Hah..great question. I have asked that of colleagues in the past. I think the craziest job, or furthest job from animation was working in a steel warehouse for my dad the summer before attending Cal Arts. I loaded steel I-beams onto trucks, drove a huge forklift, learned to weld and use a cutting torch. I caught myself on fire twice! In the warehouse were rows of 20′ and 40′ I-beams stacked to the ceiling. We’d leap from stack to stack looking for the right ones to fill orders and they’d sometimes rock back and forth threatening to fall. I felt like Daredevil. I’ve been pretty lucky and worked on some great projects. It’s hard to pick, but if I were to list a few highlights, I would start with the Marvel Productions Logo. It featured a chrome Spider-Man doing a flip and landing on the big MP. I was at the beginning of my career and thrilled to animate Spider-Man, even if it was only for one little shot. Next up is The Little Mermaid. It was a great film and broke animation out of the animated film ghetto and into a mainstream audience. I was a little fish swimming in a big pond and trying to learn as much as I could… Runaway Brain with Mickey Mouse for letting me play with the corporate icon and the resulting Oscar nod, Disney’s Mighty Joe Young for it’s groundbreaking CG animation, X-Men II because it’s such a great movie I’m a huge Marvel Comics fan, Kim Possible because it was as much fun to make as it was to watch and finally, the Despicable Me: Minion Mayhem 3D Ride because the minions are so damned funny and I love theme park rides. The Pepfar (President’s Emergency Plan for AIDS Relief) Shorts for WB were interesting too. The shorts were done to advertise an educational action videogame for Kenya’s youth centers. I got to travel to Washington and pitch the boards to the State Department. Unlike in Hollywood where the costume of a director is shorts and t-shirt, I was pitching cartoon storyboards in a formal conference room wearing a suit! Ha! The Judy short in particular was a way to experiment with Kim Possible style animation and design in 3D. It was boarded by one of my favorite Kim board artists and Batman comics artist, Dave Bullock.